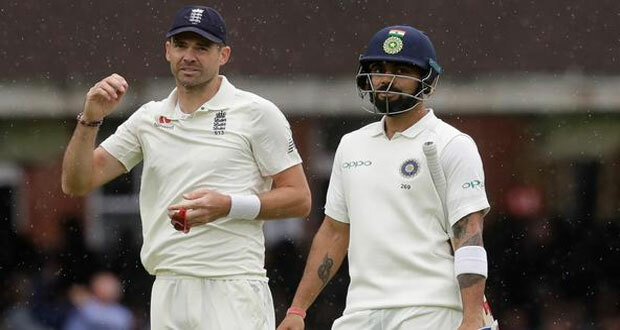 London (August 10, 2018): James Anderson took five wickets as India were bowled out for just 107 come the close of the second day of the second Test against England at Lord´s on Friday. Anderson´s haul left England´s all-time leading Test wicket-taker just one shy of becoming the first bowler to take 100 Test wickets at Lord´s. 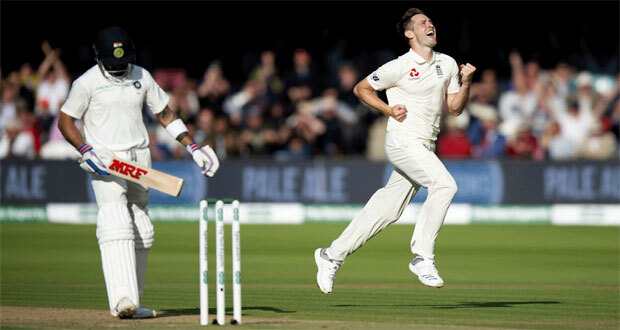 Meanwhile Chris Woakes marked his return to international cricket with two wickets for 19 runs in six overs, removing both India captain Virat Kohli (24) and Hardik Pandya (11) via slip catches by Jos Buttler. Much of the second day was lost to rain, which washed out the whole of Thursday´s play. 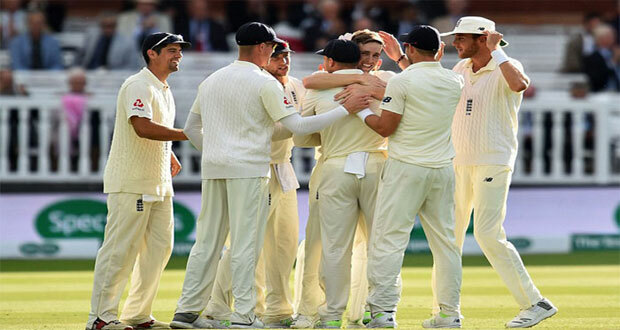 But the 35.2 overs that England bowled after winning the toss were enough for them to dismiss India, with Anderson ending the day´s play when Ishant Sharma was lbw for nought. Anderson took five for 20 in 13.2 overs while Ravichandran Ashwin top-scored for India with 29. England lead this five-match series 1-0 after a 31-run victory in the first Test at Edgbaston last week.